Capt. Anoop Kumar Sharma is a Master Mariner (FG) and has served the shipping industry for over 35 years at various responsible levels. He is a Fellow of Institute of Chartered Shipbrokers, London and holds a Diploma from Narsee Monjee Institute of Management Studies. 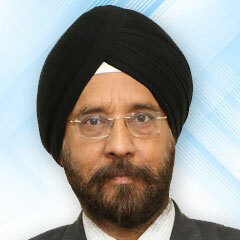 In his previous stints, he has served as the CEO and whole time Director on the Board of the Essar Shipping Ltd. 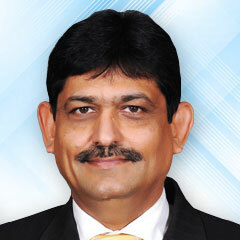 Subsequently, he was elevated to serve as the Managing Director of Essar Shipping. Presently, Capt. Sharma is on the Boards of Indian Register of Shipping (IRS), North of England Protection & Indemnity Club, Irano-Hind Shipping Company and India LNG Transport Companies (SCI’s Joint Ventures). Capt. 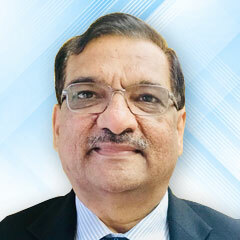 Sharma is President of the Indian National Shipowners’ Association (INSA) and Co-Chair of the National Committee on Shipping & Transport of Confederation of Indian Industry (CII). He is also a Member on high level committees of international Classifications Societies such as Bureau Veritas, Lloyds’ Register and American Bureau of Shipping. In addition he also holds memberships of several technical and commercial committees in the fields of Maritime & Logistics. Director (Finance)Mrs. H.K. Joshi , Director (Finance) joined SCI on 5th February, 2015 and has completed 3 years in the company. She has also been handling the additional charge of Director (PA) w.e.f. 11th August, 2017. The charge was handed over to the new incumbent w.e.f. 24th April, 2018. With a very rich and diversified experience spanning over three decades with ONGC a Mammoth Maharatna PSU, her experience includes almost two decades with ONGC Videsh Limited (OVL – overseas arm of ONGC) which looks after the international business acquisitions of ONGC wherein she was actively associated with the path breaking international transactions which led the company (OVL) to turnaround. This assignment gave her a lot of opportunity to travel and develop her professional attributes to International standards. 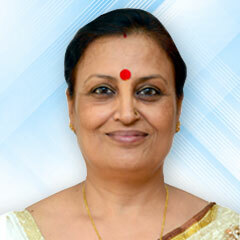 She started her career as a Lecturer in Delhi University and joined the corporate world in 1984. She is a Fellow Member of the Institute of Cost Management Accountants of India. Mrs Joshi a B.Com (Honours) an M.Com from the prestigious Delhi School of Economics, Delhi University has been a rank holder in her post graduation and is also a life member of the Institute of Public Administration, Delhi. She has been the recipient of “The Most Influential CFOs of India Award” from Chartered Institute of Management Accounts, UK for two successive years, 2015 and 2016. She has also been awarded with “The Tenth India CFO Awards – Excellence in Finance to enable a Turnaround” hosted by International Market Assessment India Private Limited in association with Pierian Services in May 2016. In July 2015, she was honoured with “CMA CFO Award 2014” from The Institute of Cost Accountants of India. On the 3rd of February 2018, she has been conferred with Best Women Employee Award 1st Place (Executive Category) by the Forum of Women in Public Sector (under the aegis of SCOPE). She believes in team work which is evidenced with the various group awards that she received in her previous assignment with ONGC. Director (Bulk Carrier Tanker) Shri Shrikant V. Kher has been appointed as Director (Bulk Carrier Tanker) w.e.f 1st October, 2015. Shri Kher joined the Shipping Corporation in 1985 as a Management Trainee and has served in various Divisions of the Corporation. He is a holder of MBA in Marketing and has completed his M.Sc (Shipping Management) from the World Maritime University, Malmo Sweden. Shri Kher has vast experience in Off Shore Services, Business Development and Commercial operations of Bulk Carriers LNG Tankers. He has been closely involved in the LNG project development activities from inception and formation of the joint ventures. With Shri Kher’s expertise in project development, SCI will make its presence felt in niche markets. Shri Rajesh Sood took over as the Director (TOS) in December 2017. He is a Marine Engineer holding Class I (Motor) certificate of competency issued by Ministry of Transport and Masters’ degree in Shipping Management from the World Maritime University, Malmo, Sweden. 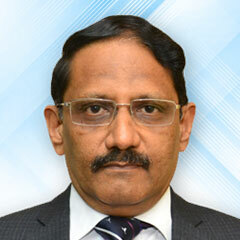 Shri Sood has a vast experience of over 33 years in various segments of Maritime field. He started his professional journey with “The Shipping Corporation of India” in 1984 as a 5th Engineer officer. After serving on diverse types of ships in various ranks for 15 years, he joined shore establishment in 1998. He gained experience performing diverse roles across various departments including shipbuilding services, tanker technical and bulk carrier technical. He was also involved in number of ship acquisition projects from conceptual design stage till delivery of various types and size of the vessels. During his tenure as Senior Vice President, he was responsible for bringing much needed stability and control in operations. Mr. Surinder Pal Singh Jaggi took over as Director (Personnel Administration) of The Shipping Corporation of India ltd. on 24th April, 2018. Prior to assuming charge of the office of Director (Personnel Administration) in SCI, Mr. Jaggi was working as ED (PA), SAIL Corporate office looking after all functions of Personnel, Training, Estate Administration, and Industrial Relations Welfare. Mr. Jaggi holds a degree in BA (Hons. ), Political Science, Diploma in Social Welfare , LLB, PG Diploma in Journalism Communication. He was also sponsored for a three months certificate course on Personnel Management in the Royal Institute of Public Administration, (RIPA), London. An active Management Trainer and Quiz Master, Mr. Jaggi is a life member of Quality Circle Forum of India and National Institute of Personnel Management. He has over 35 years of experience in HR allied functions, dealing with diverse Key HR processes like Development and Implementation of HR Policy, Talent Promotion, Innovative Learning and Development Initiatives, Performance Management, Employee Involvement and Engagement, Shop-floor Discipline Management and Industrial Relations in Mines, Works and Non-works areas of Bhilai Steel Plant, the flagship unit of Maharatna company, SAIL. He has also worked in the field of Public Relations, Business Excellence, Liaison Administration etc. Mrs. Sangeeta Sharma took over charge of Director (Liner Passenger Services) of The Shipping Corporation of India Ltd. (SCI) in December’2017. She has done her Masters in Management Studies from World Maritime University, Malmo, Sweden. She holds degrees in B. Com and Masters of Personal Managementfrom Pune University. She has a vast experience of over 32 years at SCI and has served at various responsible levels in Purchase Services Division, Technical Offshore Services Division, Bulk Carrier Tanker Division Liner Passenger Services Division. During her tenure with SCI, she has acquired in depth knowledge of shipping business and has been an important pillar of the company in bringing controls and stability in operations. Her core competency is in strategic planning, commercial operations, contract negotiations, project management and personnel management. She was the premier in starting of the Gulf and Coastal container services (SMILE Service) of SCI in the year 2008. She has handled commercial operations of various sectors like Europe, USA, Gulf coastal and has also managed feeder services of SCI.